This is conjectured to be the lowest possible for a centrally symmetric convex shape. However, it has not been proved that this is the densest packing of the regular heptagon! The image here was created by Toby Hudson and put on Wikicommons with a Creative Commons Attribution-Share Alike 3.0 Unported license. Could you do a rounded corner heptagon and get an even lower max density? If the octagon is a guide, then maybe. 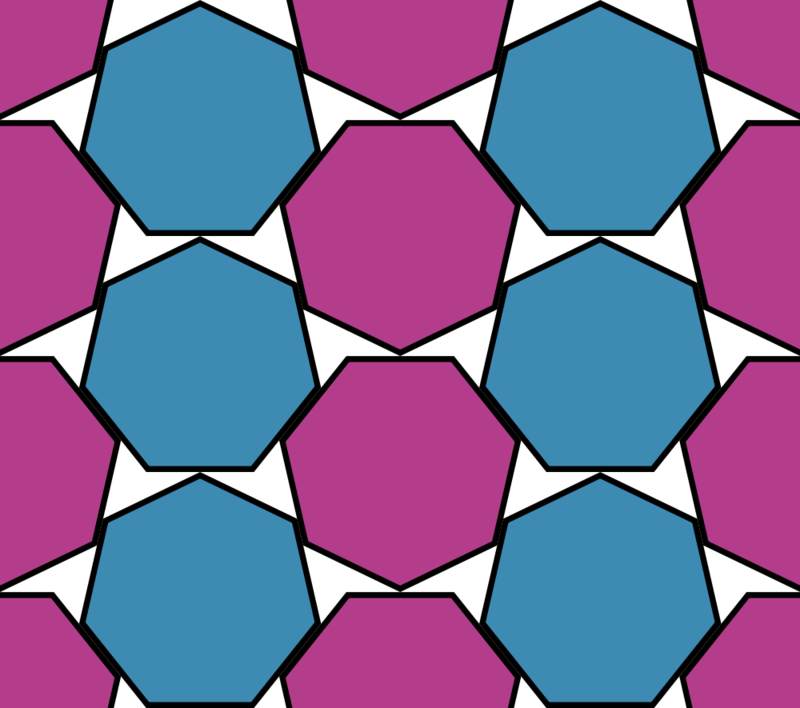 It’s not obvious that rounding corners of the heptagon will reduce the maximum packing density: note that rounding the heptagon’s corners ever so slightly will allow us to compress the stacks of heptagons in the picture. That doesn’t happen for the octagon, which has an even number of sides. I hope that whoever conjectured the heptagon was the worst possible convex shape for dense packing would have considered small perturbations like this.